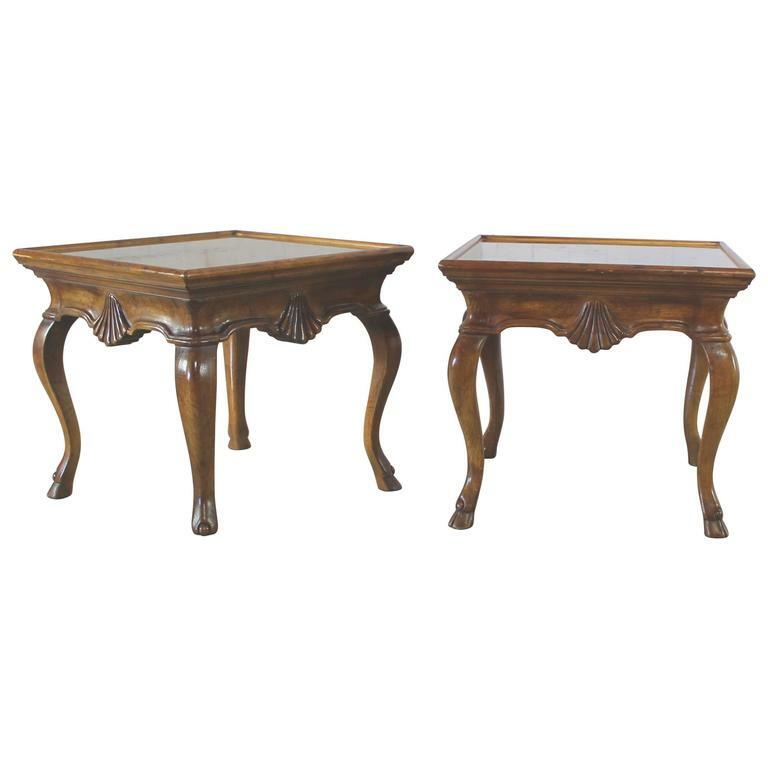 Handsome pair of Drexel Heritage side tables from the Brittiany collection by Heritage. Square with inlaid brass tops and hooved feet. This pair is in wonderful vintage condition with no outstanding flaws that we found. What an incredible pair of vintage side tables. This pair is from the Brittiany collection for Heritage, that's Drexel Heritage. These small square side tables are made special by their hooved, hoof or Pied-de-Biche foot and the brass inlaid tops. And they are so versatile and portable. Perfect for moving around just where you need them. No outstanding flaws that we have found. Italian, 1980s rectangular tables with gilded bronze bases and smoked glass tops. Pair of iron seahorse side tables with smoked glass tops with brass medallions.